In this article, you will be introduced to some common issues while working on WordPress and also on how you can get them settled in easy ways. This article will help you deliver your work more efficiently on WordPress. If you are receiving An Allowed Memory Size Exhausted error it means your WordPress installation doesn’t have enough memory to receive new content. Add ini_set(“memory_limit”,”20M”); to the plugin php file from which the error was coming. Comment the following line in cache.php. If you have deleted plugin in WordPress admin and even from the FTP, however still the plugin exists in your site. Login to your site via SSH. Use SSH commands to navigate “../wp-content/plugins/”. Use ls-al to see the full list of folders. Delete the particular plugin folder from RM (Folder Name). We suggest an easy fix for this kind of issue. Just reload the web browser and check if your issue gets resolved. The Web browser stores copies of Web pages in storage cache, on your computer. Upon following visits to that Website, the Web internet browser loads the website from storage cache, which allows it to fill faster. If your Web browser is loading a stored duplicate copy of the website from storage cache, it might not be showing your latest changes because it’s an old duplicate and is not updated. This issue occurs when WordPress shows the dashboard without CSS which results in distorted look. To fix this issue, you need to make sure that your proxies or firewall program is not preventing CSS information. You need to clear the cache of your web browser as well as your proxies or firewall program. After modifying the configurations, renew the site, and hopefully, your issue will be fixed. However, if this method doesn’t work, the differences could be to update your plug-ins, especially the ones that are set up particularly for the dashboard. Occasionally, if you upgrade your version of WordPress, you could end up with multiple plugins that stop working properly. You’ll just have to deactivate the malfunctioning plugins until the author comes up with a new release that will be compatible with the new version of WordPress. You may find the option to reset password below the dashboard. Click on that link and reset password email will be sent to your registered email account with the admin account. Reset your password carefully. If you forgot your registered email then login to C-panel account of your WP hosting. First things first, clean up your local machine (run antivirus) and update everything. While you’re in there, change all of your system’s passwords (FTP/SFTP/MySQL) and the passwords for every other site. Close any back doors the hacker may have left and secured your wp-config.php file. Finally, be sure to follow all applicable WordPress security best practices in the future. 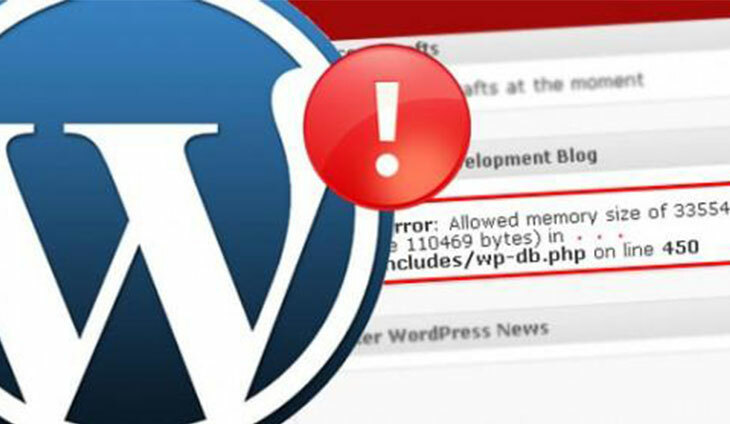 This error normally happens right after a new WordPress theme installation or WordPress upgrade. The entire blog is showing a blank page; so is the WordPress admin login page. There’s no way to access the dashboard. If your blog is hosted on a Windows server, this could be the error with Directory Indexes. WordPress has a few useful automated tools for limiting the amount of spam that appears in comments. Blocking spam permanently, however, requires stringent moderation on your part. To control the WordPress features related to managing comments, click Administration and Settings Panel. You can control all aspects of discussions here. To help in limiting spam, try these tips. Click the “A Comment Is Held For Moderation” box if you want to receive an Email each time a comment is made, thereby giving you the option of accepting or denying the comments. Of course, if you receive dozens of comments each day, this option will generate an overwhelming number of email messages. Click the Comment Author Must Fill Out Name And Email box, which forces anyone making a comment to provide the necessary information.This extra step might deter some spammers. It is because spammers sometimes include multiple hyperlinks in their messages, you can tell WordPress to hold comments that have a certain number of links through the Content Moderation section. In the same section, you also can enter keywords that you think you’ll see in spam comments. WordPress will flag any comment that contains these words. If your website takes more time to load then your visitors may not return back. Due to some reasons your site may take more time to load and you may get frustrated. Site loading speed is very important these days. Sites which open up very fast are able to get more success than sites which load very slowly. You may need to get a new theme if you find the current theme to be very complex. Your site may be loading very slowly just because of the new theme which you have installed. Increase in traffic to your site may make the server perform slowly. You may need to contact your hosting provider and know that whether there is any server related problem. You may need to get a VPS hosting if you feel that there has been a huge increase in your website’s traffic. An old wordpress plugin may have stopped working and your site may have started facing some issues. This is a common issue and often people get confused that how a plugin can stop working. You can delete the old plugin and reinstall it. Another thing you can do is that you can update the version of the plugin which causes issues on your website. Some plugins may have stopped working just after you updated the WordPress version. This may mean that the old plugins are not compatible with the new WordPress version. You may be required to delete all the in-compatible WordPress plugins. 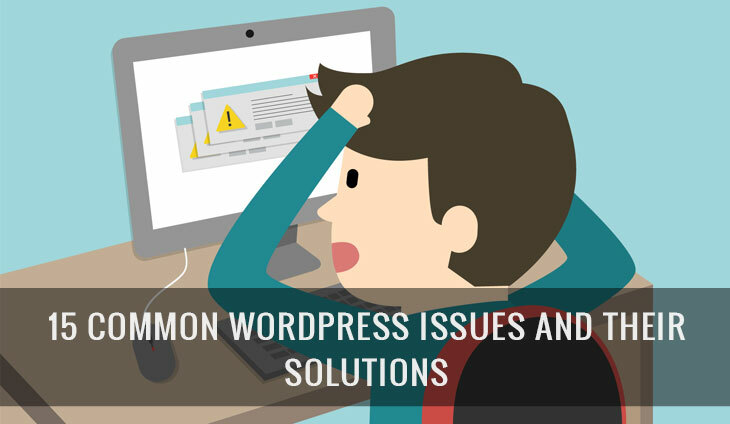 I hope that my post helped you in knowing some of the common problems faced using WordPress. If you are extremely focused to get success from your blog then these problems shall never stop you. Problems may keep coming into your way while you do blogging, but if you want to become a Pro-blogger then learn to tackle all these problems. login to your WordPress Dashboard. Go to “Settings” and click “Permalinks”. There are 6 settings for you to choose and you can decide which one that fits your need the most. The most likely cause is that you made manual changes to your template files such as the style.css file (usually). Then when you updated everything got overwritten with the default theme code. Custom CSS Plugin – If you only need a few small tweaks you could use a custom CSS plugin to make your tweaks and ensure they aren’t deleted during a theme update. Create A Child Theme – Creating a child theme is probably the best method of customizing your theme and will allow the greatest flexibility and even allow you to edit template files (besides just style.css), remove or add new scripts as well as add custom functions. Keep A Changelog – Whether you are editing the template files manually (best no to) or using a child theme, creating a changelog is a good way for you to keep track of all the tweaks you’ve made to the theme. It’s especially useful if something breaks so you can back-track and see where you might have made a mistake. Of the common WordPress errors, this is pretty self-explanatory. 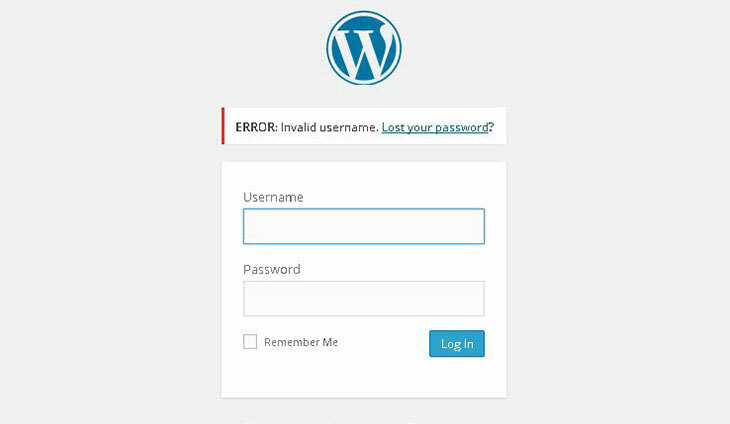 The error lets you know something broke the connection to your WordPress database. You’ve been hacked! And here I was thinking this particular WordPress error is no big deal. Access your wp-config.php file via File Manager or FTP and confirm if the database name, host, username and password are correct. If you’re stuck or don’t know what to do first, consider teaching yourself a few things about editing wp-config.php files. If your wp-config.php is looking right and this WordPress error is still a problem, you should talk to your WordPress hosting provider. They will be able to tell you whether the server is down or your database was shut down for exceeding its quota. If they tell you everything looks good on their end, it is time to implement some WordPress security on your site. Hackers don’t sleep. No, they don’t. 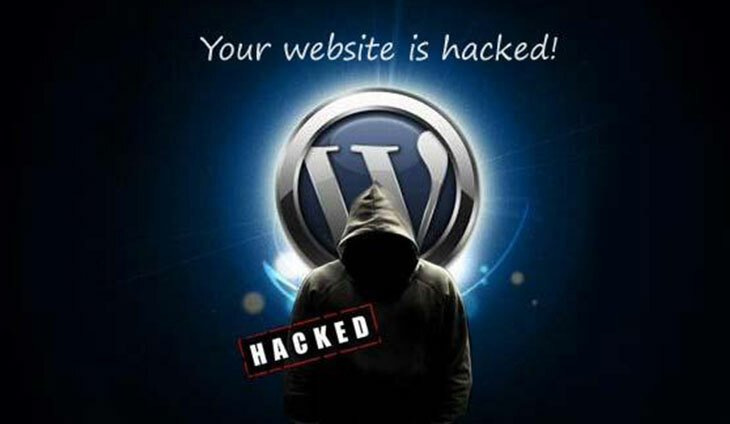 You can fall victim to a hacker anytime, especially if you don’t know how to secure your WordPress website. To ensure your website hasn’t been hacked, scan it using a tool such as Sucuri Sitecheck. If you get bad news, just stay calm and check out if the site was hacked post over at WordPress Codex. In this article, you will be introduced to some common issues while working on WordPress and also on how you can get them settled in easy ways.